I’ve always liked the look and the added strength you get from dovetail keys on mitered boxes. I made a simple router jig to cut slots with a hand-held router and a dovetail bit. The photo shows how easy it is to use the jig. 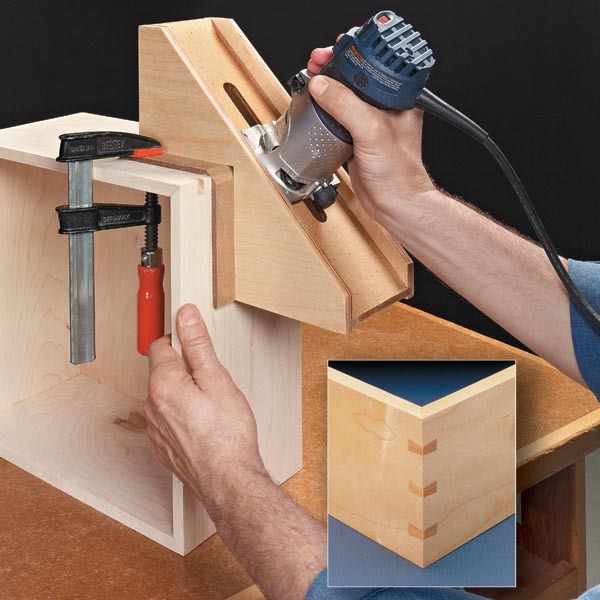 Clamp it in place over the corner of a box and then position the router on the table with the bit at the top of the slot. Just hold the router firmly as you slide it along the table. 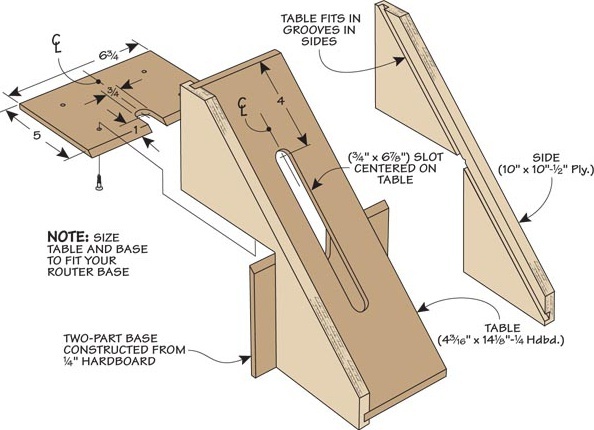 The jig starts with two identically shaped sides made from 1⁄2” plywood. 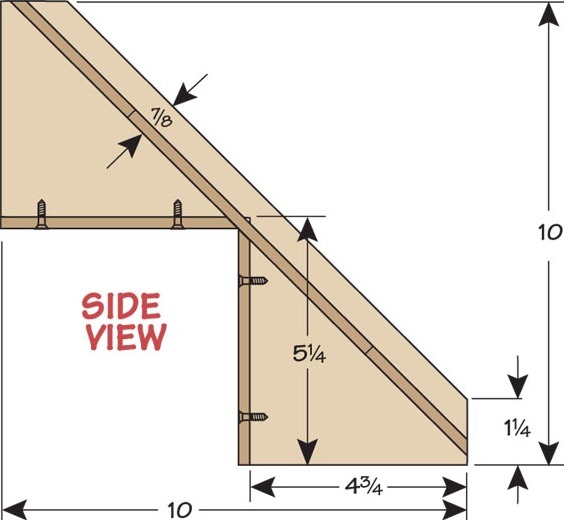 Each side has a square notch cut into it and the edge opposite the notch is beveled at 45°. A groove along the inside face of the beveled edge completes the sides. This groove holds a 1⁄4” hardboard table that supports the base of the router as you make the cuts. You want to cut the table to trap the base of the router snugly between the two sides with a smooth sliding fit. A centered slot in the table creates an opening for the dovetail bit. The two parts of the base attach to each side of the notch and register against the mitered corner of the assembly to be routed. The base is made extra wide so the jig can be clamped in place.